Roxas Holdings, Inc. (PSEi: ROX; RHI ) is the largest integrated sugar business and the biggest ethanol producer in the Philippines. 62 years old and is a Filipino. 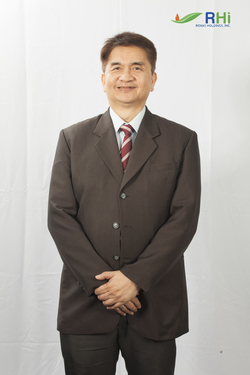 He has been a member of the Board of Directors since year 1982. 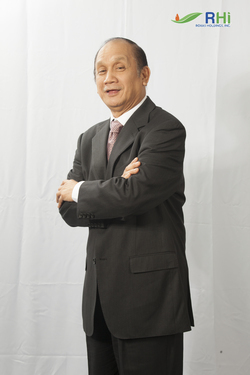 Mr. Roxas was educated at Portsmouth Abbey School, Rhode Island, USA and at the University of Notre Dame in Indiana, USA, where he obtained his degree in Business Administration. Mr. Roxas is the Chairman of the Board of Directors and is the Chairman of the Executive Committee and the Nomination, Election & Governance Committee. He is also the Chairman of the operating subsidiaries of the company, namely: Central Azucarera Don Pedro, Inc. (CADPI), Central Azucarera de la Carlota, Inc. (CACI), Roxol Bioenergy Corporation (RBC), San Carlos Bioenergy, Inc. (SCBI) and RHI Agri-business Development Corporation (RHI-ADC); and of affiliate, Hawaiian-Philippine Company (HPCo). Mr. Roxas is also the Executive Chairman of Roxas & Co., Inc.; Chairman of Hawaiian-Philippine Company and Club Punta Fuego Inc.; President of Fundacion Santiago; Chairman of the Philippine Sugar Millers Association, Inc.; an Independent Director of Philippine Long Distance Telephone Company (PLDT), the Manila Electric Company (Meralco) and Banco de Oro (BDO) Private Bank, and CEMEX Holdings Philippines, Inc.; Director of Brightnote Assets Corporation; a Trustee of the Philippine Business for Social Progress and Roxas Foundation, Inc.; Vice Chairman of the Asean Sugar Alliance; and a member of the Polo and Equestrian Directorate of Manila Polo Club.